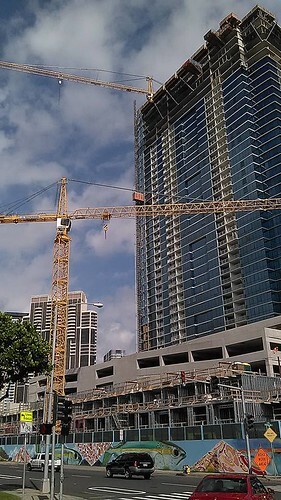 In the last two years there has been a lot of construction in the Waikiki and Kakaako area. I can only watch as buildings that I have become used to over the many years are knocked down and new ones are put up. 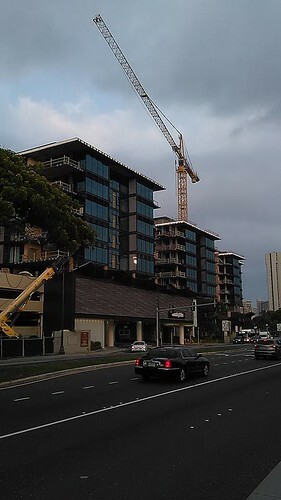 Since there has been so much activity sometimes the sky seems to be full of the construction cranes that they appear to be very large birds with no wings. Plus, they are called “cranes” which is the name of a bird with a very long neck. 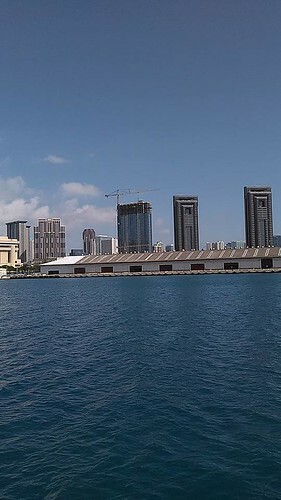 There is a joke in Hawaii that the State bird is the crane since there are so many of them. 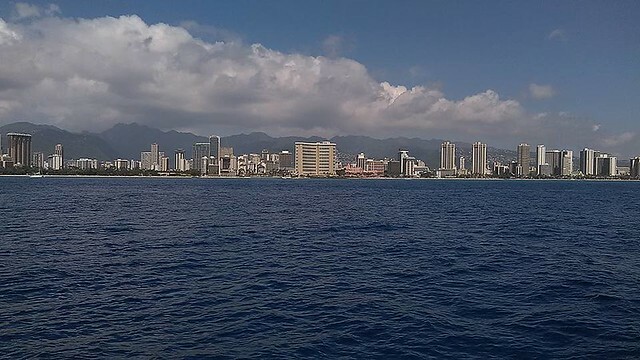 Even though the buildings that are being built are very beautiful there is a sadness that the area that I have lived in so long is quickly changing and will soon be only a memory to me. This entry was posted in Haiku Poem. Bookmark the permalink.